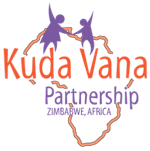 Our Mission: Kuda Vana Partnership exists to empower the most vulnerable children of Zimbabwe to not just survive, but thrive. Our staff provide whole-person care to each child, including love, nutrition, security, healthcare, education, life-skills and spiritual and emotional guidance - enabling them to live more independent, dignified, and enriched lives. We are committed to ensuring each child attains healthy, self-sufficient adulthood. Our young adults are supported through trade school or college. Our campus provides a safe, family-oriented environment for 50 children ages 0-18 in four group homes and a nursery. Education is the key to the future. Our school prepares children emotionally and academically for a successful high school experience and a positive future. In almost all cases, the best place for children to be raised is with their families. We support this belief by helping to eliminate food scarcity amongst needy families.